The wren, or Troglodytes aedon, is found in Sutton all year round. This small brown bird has a short, slightly curved beak and a stubby, short tail. 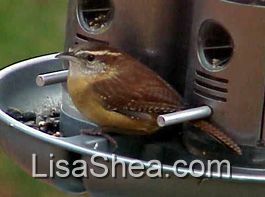 While wrens primarily eat berries and insects, they also visit suet feeders and seed feeders if offered. Wrens have a cute habit of sitting on fence posts and patio posts, surveying their world! 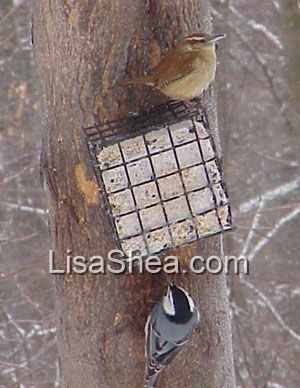 This image shows a wren (on top) with a nuthatch to show relative size. This video of a wren was taken in August 2014.